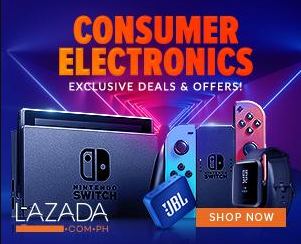 Shopee Philippines partners with six tech giants - Samsung, Xiaomi, JBL, Phillips, Transcend, and ASUS and Republic of Gamers to launch the Super Gadget Zone Sale. From August 20 to 22, Shopee will treat users to unbeatable deals on premium electronic products with Lowest Price Guaranteed discounts up to 90%, flash sales, tech auctions, and more. To add a dash of excitement and competition to the Super Gadget Zone Sale, Shopee will be holding three tech auctions daily from August 20 to 22, featuring dozens of popular tech products. Bid on gadgets such as the Ace Smart TV 43”, JBL Charge 3 Speaker, and Fujifilm Instax Mini, starting from ₱1! In addition, Shopee will be having three rounds of flash sales on August 20, featuring unbeatable discounts on various premium products including the iPhone X, Avision 43" Digital LED TV, and JBL C100SI. Finally, the Super Gadget Zone Sale will feature other attractive promotions including P99 deals, free shipping, and tons of Lowest Price Guaranteed discounts on a diverse selection of premium gadgets Filipinos know and love. For more information, visit https://shopee.ph/ Download the Shopee app for free on Apple App Store or Google Play Store.